Bag female stingray leather. Inside the bag fabric. 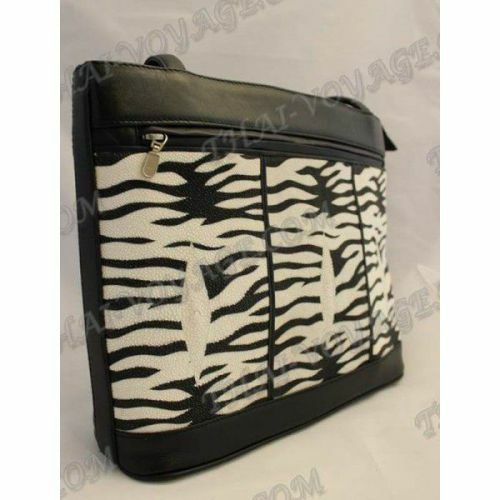 Side, bottom, handle and trim bags are made of calfskin. Dimensions: width - 34 cm, thickness - 10 cm, height - 30 cm, height with handles - 55 cm. 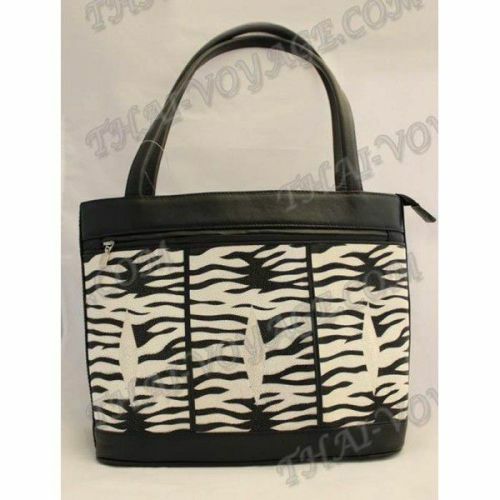 Color: Black with color zebra.